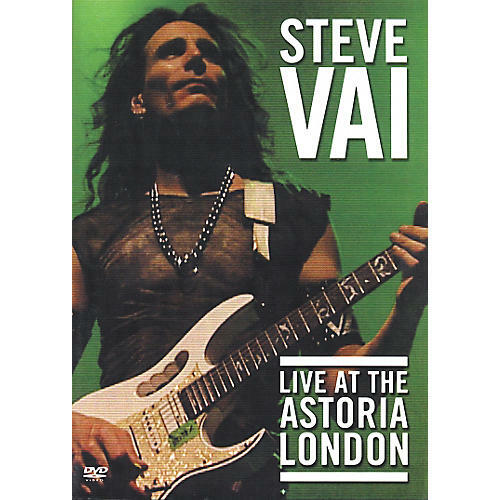 This 2-disc set captures the first solo concert of living guitar legend on film, including his performances at Astoria, London, UK, on December 6th and 7th, 2001. Accompanied by bass maestro Billy Sheehan, guitar and keyboard player Tony MacAlpine, guitarist Dave Weiner, and drummer extraordinaire Virgil Donati, Vai and his band provide an incredible concert experience. restrictions. The killer solos come fast and furious in the performance captured on the first disc. Disc 2 has a selection of backstage action, footage, interviews, the band's rehearsals in L.A., bios and Vai's discography.